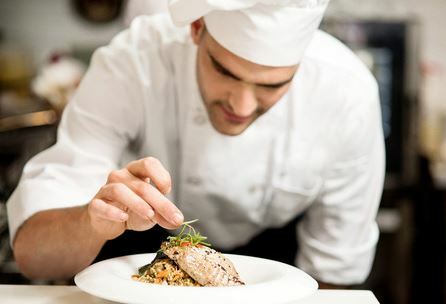 What are some things to keep in mind before calling a catering company, like R & R Caterers at 215-638-7376? There are some basics the catering company would like to know upon initial contact. Generally, what’s the date, venue and guest count? Think about this: the venue helps determine the guest count. You can’t stuff 200 people into a room made to hold 50 people, right? Also, with the venue, you need to make sure they allow for “outside caterers.” The date matters because you want to make sure both your venue and your caterer are available for the exact date (and time) you intend to have your party or event. Caterers also like to know if the venue has a kitchen, and, if so, what’s in that kitchen that can be used by them. Things like sinks, prep tables, ovens, fridges and more certainly matter to caterers. They’ll also want to know how involved you’d want them to be– for instance, will they be in charge of serving food and/or cleaning up afterward, or will you have your guests do that work? Next, consider what type of service you truly want– is this a formal sit-down thing, a buffet where guests come up to the tables and get food, or just a “cocktail hour” where hors d’oeuvres will be served? Also, be prepared to tell your caterer what kind of menu items you’d like served. Though it can be tempting to just pick things you like, it’s important to remember guests have a wide variety of personal tastes, so variety is the name of the game for catering. It’s a good idea to keep in mind that some people are allergic to nuts, others are eating gluten-free, and there’s almost always vegetarians at events. Plan accordingly with the caterer. Finally, know your budget before you consult with a caterer. That way the caterer can give you a list of services and the associated fees. You can then pick what you can afford. Stick with essentials and if there’s money left over, do some “add-ons” to further enhance your party or event. In the Bensalem, PA area, choose R & R Caterers to cater your party or event— call 215-638-7376 for more information.